Sally Wassink, aka S. Wurlitzer, is an artist who lives and works in San Francisco. Her past professional life included a long stint in advertising. She is active in correspondence art and her work has been included in several publications on the subject. Her work was recently featured in the show Power Mask: The Power of Masks at the Wereldmuseum in Rotterdam, the Netherlands. Have you designed a stamp before? Yes! I’ve been designing stamps since the late 70’s. My early work focused on pop-culture or maybe, should I say, jabbed at pop-culture. Rather than choosing a topical subject for this project I wanted instead to pay homage to the old-time methods and look of graphic design. What was the most interesting or fun aspect of designing a poster stamp? What unique challenges did it present? I liked the challenge of working within specific parameters—in this case a smaller size. It was my goal to make this small sheet of stamps just as visually impactful as the larger size I normally work in. And the most interesting part was realizing I didn’t need to care about where the perforations fell within the design. They looked great anywhere! Tell us about the art. Did you create something new for this stamp? Recently I’ve become obsessed with the graphic design and color treatments of the old Popular Science magazine. Having come from the paste-up world myself I respect so much the creativity and lovely attention to detail that consistently went into the look of these magazines. When I started thinking about the stamp for this project, I wanted to make it both old and new. It’s old in that, for the collage that ultimately became the stamp sheet, I used paper and design elements exclusively from Popular Science magazines from the mid-50’s. Hopefully the finished product reimagines those graphics in a new and interesting way. My love of stamps, which I collected as a child, is all mixed up with my love of correspondence art, in which I am also active. Exchanging art through the mail—no strings attached—with a network of generous artists has been life-changing and so rewarding. Your readers should know that I sometimes publish my stamp editions under my correspondence art name, S. Wurlitzer. I chose that name because it’s musical, but a little cheesy and reminds me not to take myself too seriously. The Artist Series is an ongoing collaboration with invited designers, artists, and writers who create original work for an unusual form: the poster stamp. The stamps are printed on lickable, gummed paper and pinhole perforated by hand on our vintage machines. The sheets are signed and numbered by the artist, and released in a limited edition of 100. View full series. Our upcoming releases include stamps by David Carson, Rebeca Méndez, and Kate Moross. Release date announcements will go out via our social networks and our email newsletter. 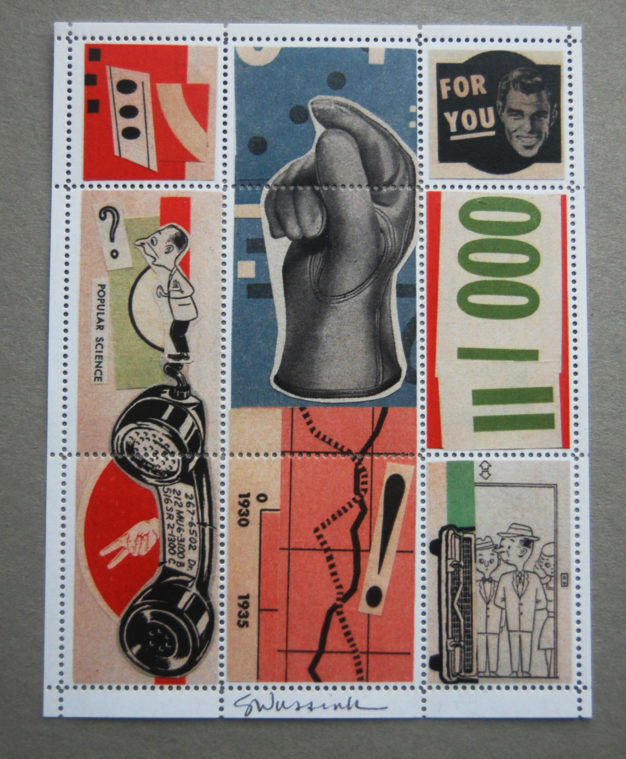 A celebration and revival of poster stamps. © Copyright 2017 The Portland Stamp Co.